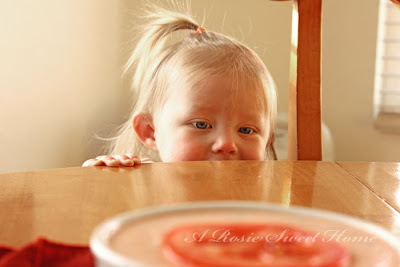 I am so happy to have my very first guest blogger! I will be having guest posting at the beginning and middle of each month. Be sure to check back frequently to discover some new blogs! 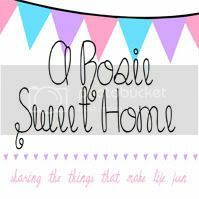 I am so excited to introduce to you Rose from A Rosie Sweet Home! Rose and I have been emailing each other quite a bit, about free blog headers and guest posting. 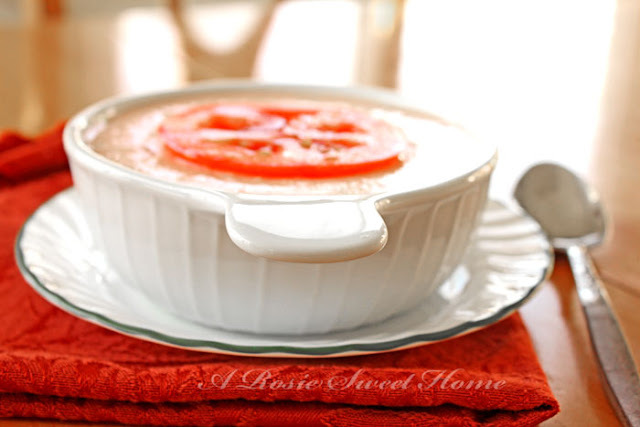 As the kickoff of 2012 guest posting, Rose is going to share her creamy tomato soup! I am so excited to share this yummy recipe with you. 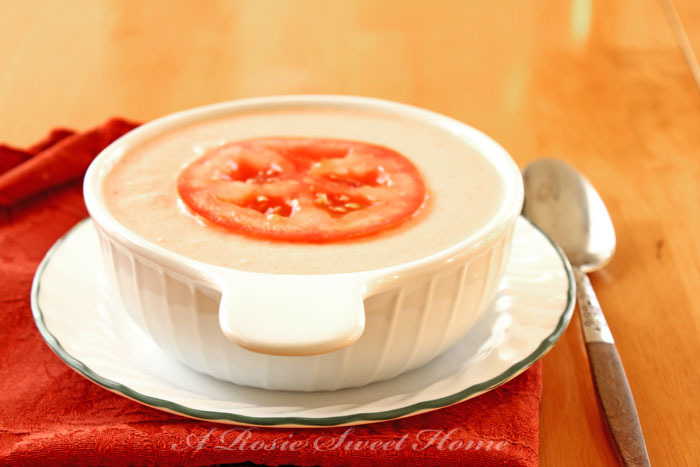 First of all I had never liked tomato soup until I had this soup. One day I had a friend over for lunch when I realized I had nothing to feed her. Oops. I ran to my pantry to see what I had and as I was looking around I had an idea. I remembered a recipe I had seen in a Taste Of Home magazine. 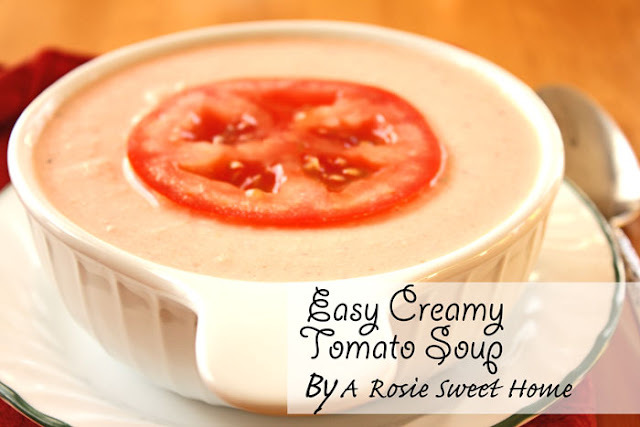 It was tomato soup made from tomato and cream cheese. So I gave it my best guess and now I have a new favorite lunch. 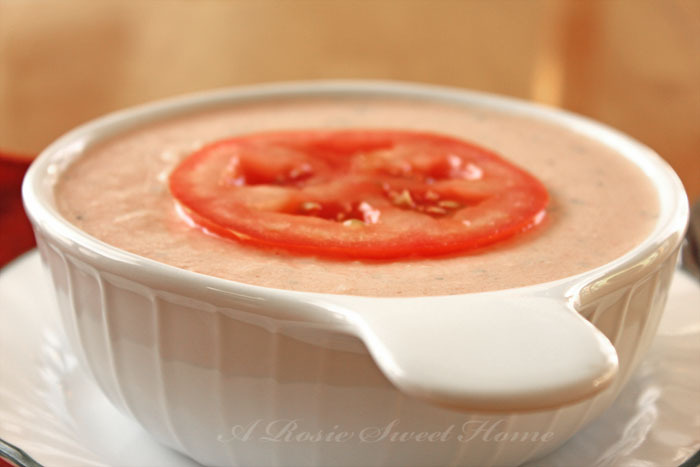 Served with grilled cheese sandwiches or garlic bread you will love it to. Blend the tomato, milk, and cream cheese until smooth then transfer to a pot and add the spices, heat it up. This is so good that nobody will believe it was so quick to make. While I was taking pictures of the soup I happened to notice this sweet face watching me. Thanks Rose! I never knew it could be so easy! I love those last two photos - precious. 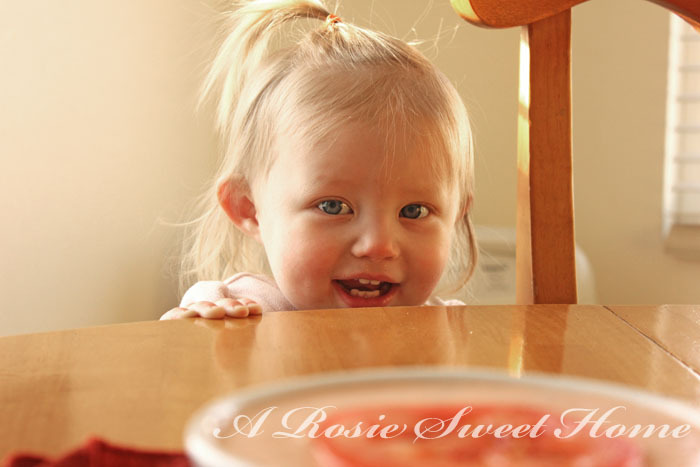 Be sure to check out Rose's blog and other links too! Sign up for guest posting here.